Parking: Private parking is available in the hotel’s garage. 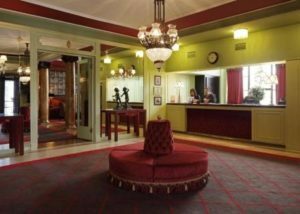 This 3* establishment is located on a pedestrian street in downtown Porto and is decorated in a Renaissance and Art Deco fashion. The hotel was carefully renovated in 2002 to evoke a 1950’s style with Belle Epoque furnishings, whilst keeping its late Victorian facade and elaborate exterior detail. The hotel offers 97 comfortable rooms, equipped with individual air-conditioning, en-suite bathrooms with bath/shower combinations and wireless internet. Both Standard and Classic rooms are available. The latter are located on the top floor of the hotel and are more spacious with higher quality amenities. The Grande Hotel do Porto is situated in Rua Santa Catarina in the historic city centre, with its convenient central location guests have the pleasure of being able to take a leisurely wander in to the centre to visit the many shops, boutiques, monuments and theatres the city of Porto has to offer. Grande Hotel do Porto offers a top quality service which prioritises the comfort of their guests. The hotel has a variety of services which allows you to mix business and pleasure, with a range of meeting rooms and relaxation opportunities, this hotel is perfect for all whether it’s a business trip or a relaxing break! Facilities such as the wellness room encourage guests to unwind and let their worries float away. Guests can also enjoy a variety of traditional Portuguese cuisine at the hotel’s two delightful restaurants. The main restaurant D. Pedro II is the perfect place to make a celebration unforgettable, with its wealthy décor and romantic atmosphere, a celebration here is a unique and memorable experience. Each room is tastefully decorated in a contemporary married with traditional manor. A few rooms home original Portuguese architecture; every room hones photography originating from a famous Portuguese photographer, allowing guests to learn more about the Hotel’s culture. 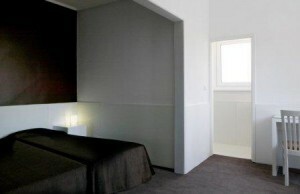 Each room is equipped with air conditioning, a safe, TV, mini bar as well as bathroom amenities.